Today, the ideas, languages, and tools coming from the new creative communities are having a deep impact beyond the limits of creative industries and the arts. From technological innovation to business to social change, all industries and sectors are being transformed by the capacity of creators to inspire and explore new worlds. For professionals and enthusiasts, Sónar+D is a unique and inspirational environment, open and relaxed, where to discover groundbreaking new work and find opportunities, learn new skills, network and showcase their initiatives. Four very intense days of talks, demos and workshops, tech shows and exhibitions, immersive experiences, one on one mentoring and community meetups, and much more. 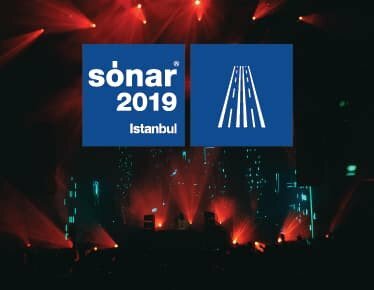 Sonar+D Istanbul is presented by Digilogue.